Sardinia preserves an exceptional record of its Final Neolithic and Copper Age cultures, with a diverse crafts repertory, henges and dolmens, statue-menhirs, chamber tombs - and the only known ziggurat in Europe. 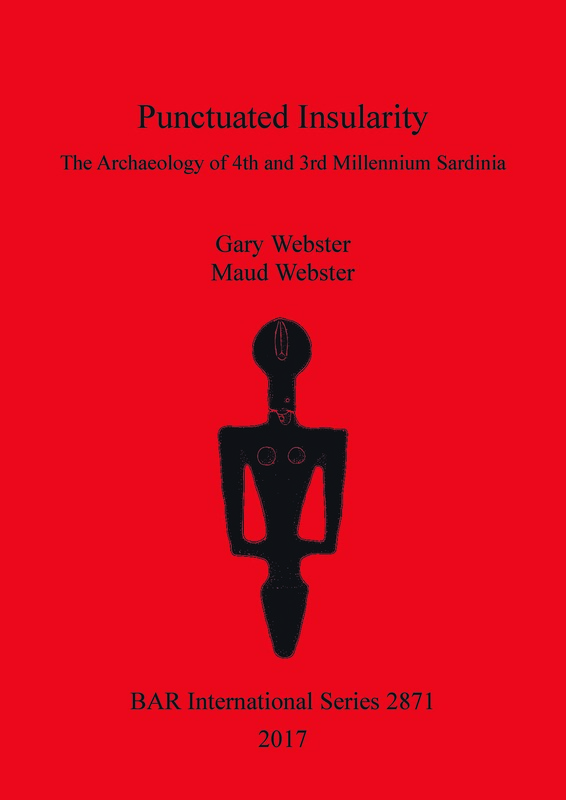 The present study provides a synthesis in English for a scholarly readership interested in Mediterranean adaptations during this earliest period of metallurgy. As elsewhere, the infusion of metallurgy had profound implications, as island cultures underwent a series of transformations tied directly or indirectly to it. Spanning two millennia, these changes are studied in terms of material cultures known as Ozieri, Sub-Ozieri, Filigosa-Abealzu, Monte Claro and Bell Beaker. A more overarching finding from this review is the periodic engagement between these cultures and geographically distant ones. Such punctuations of the insular condition had long-lasting effects on local expression, and some thoughts on how this might contribute to understandings of concepts like identity formation are presented by way of a conclusion. Gary Webster is a doctor of anthropology (PhD from Penn State University) and a docent of archaeology (Umeå University). He has published widely on theoretical issues as well as on archaeological field work, especially related to Bronze Age Sardinia.Maud Webster holds an MA in classical archaeology and ancient history from Uppsala University. Her research interests include Sardinian pre- and protohistory, and she has also written widely on Italian history.